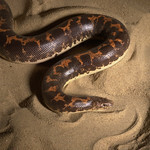 The Kenyan sand boa has alternating orange and brown colors running down its back. 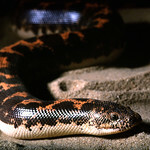 The species is sexually dimorphic, meaning males and females differ in appearance. 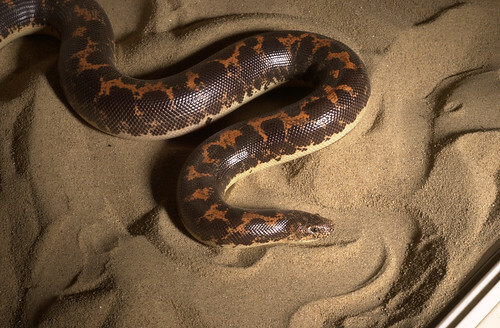 Females are larger than males on average, reaching lengths up to 32 inches while males max out at 15 inches. 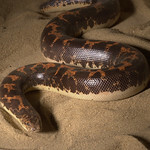 This species is native to East Africa, ranging from Egypt to Tanzania and west into Kenya. 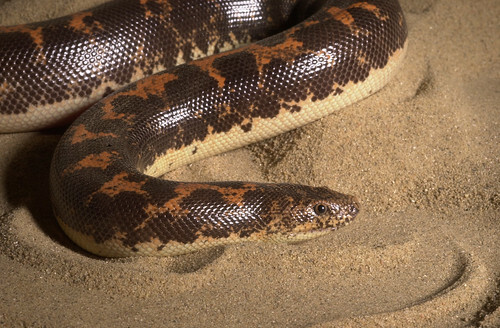 As its name implies, the Kenyan sand boa occupies dry desert regions. 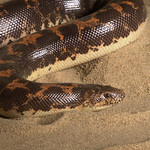 The Kenyan sand boa spends much of its time camouflaged beneath the sand or hiding under stones and in burrows. It is an excellent digger and can quickly bury itself. 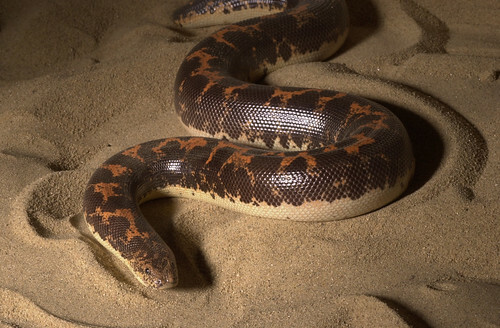 It feeds on desert prey, such as rodents, which it constricts within its coils. 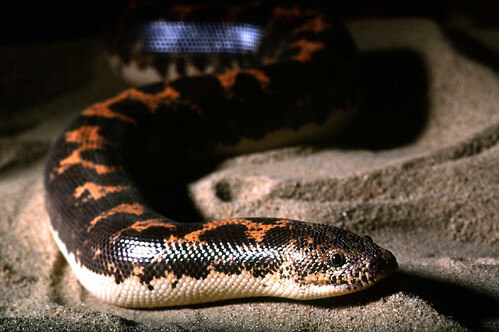 Young Kenyan sand boas develop in eggs housed within the mother's body. The eggs hatch internally, producing live young.